Happy Friday! I’m so excited to be taking off to Squamish Valley Music Festival with Gentle Fawn and my girl Alicia Fashionista later today – just working against the clock right now to get everything done and get fully packed up! 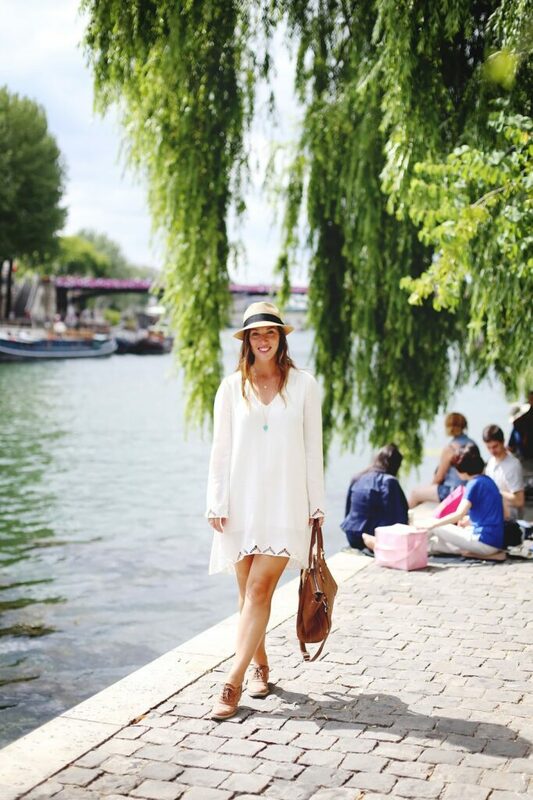 Of course, this airy Gentle Fawn number I wore for one of our most special days in Paris made the cut for my packing list – it’s the perfect summer piece, from the streets of Paris to taking in Benjamin Booker‘s set later tonight (most excited to see him!). 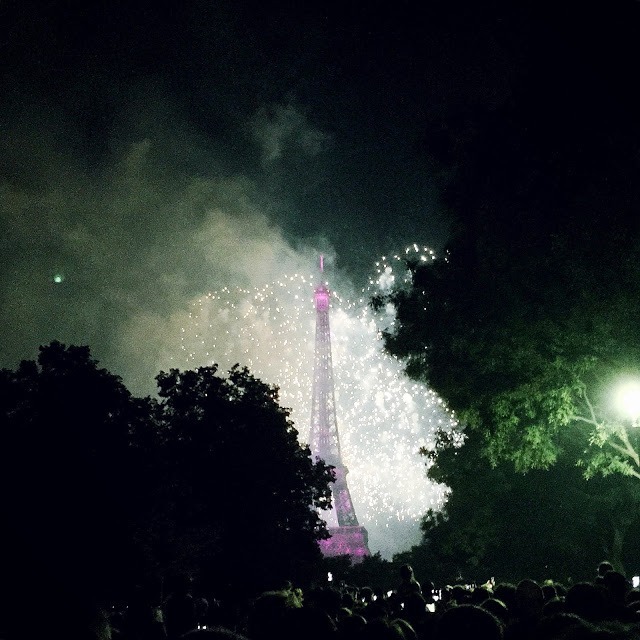 Click through to see more from our Bastille Day adventures in Paris! As I mentioned in my last post, one thing I realized this time around in Paris was how incredibly important it is to sit and do…nothing. Well, maybe have a coffee or a drink. And that’s exactly what Emaan, one of my BFF’s, and I did on Île de la Cité – we got an early start on our Bastille Day celebrations by sharing a bottle of rosé in le Square du Vert-Galant (a must), our legs dangling over the Seine and the sunshine peeking through between the willow tree boughs. 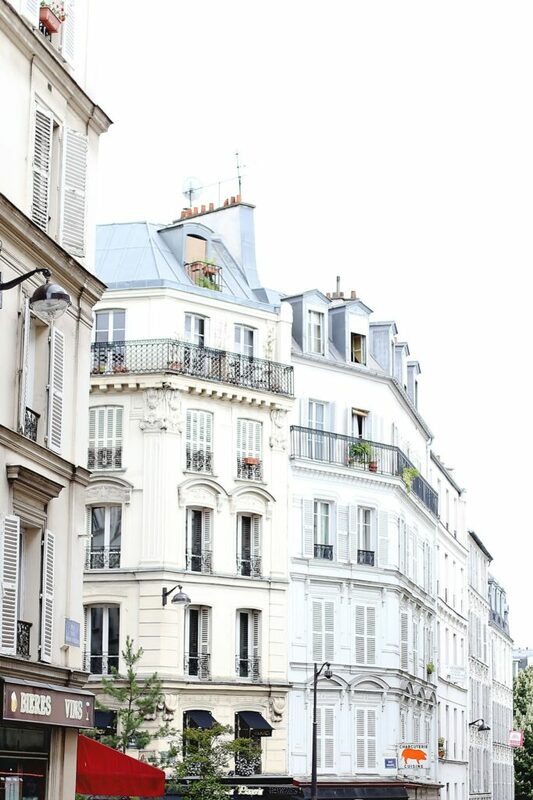 It was such a lovely and perfectly Parisian few hours. With a happy wine vibe on, we took the metro up to Montmartre to explore Sacré-Cœur and the surrounding areas. This part of town is so beautiful, but just be careful immediately in front of Sacré-Cœur – like any other touristy part of the city, pickpocketing is a real threat, but in this area in particular you might get a friendship bracelet slapped on you and before you know it, they’ve weaved a whole bracelet around your wrist and have their hand out to get paid for something you never wanted in the first place. I saw 5 tourists get sucked into this in the space of 5 minutes, so as always, just firmly repeat “non” and walk on. Other than that, the whole area is full of charm, history and beauty. Also some wonderful food here if you wander off the beaten trail. We ended up meeting our friend Sable who had recently moved to Paris and then watched the fireworks in Champ de Mars – this was undoubtedly one of those once-in-a-lifetime moments, watching the Eiffel Tower entirely lit up with one of the best firework shows of my entire life taking place right out of the iconic structure. It was unreal. This Insta snap below doesn’t do it justice – it was really something beyond special. If you can ever be in Paris for Bastille Day, yes nothing will be open but having this experience will entirely make up for that fact. Now with my head and heart full of Paris, I’m off to prep for another incredible adventure! Follow along on Instagram (Alicia and I will also be taking over Gentle Fawn’s account over the weekend so give them a follow here) and of course, the BTS/less-than-PG stuff will be going down on Snapchat – you can find me by adding @tovogueorbust! Finally, if you’ve got your heart set on any of the Gentle Fawn pieces I’m wearing over the weekend, just for you Gentle Fawn is giving 15% off + free shipping until September 30th! Just use the code TVOBxGF. Happy weekend my loves! Gorgeous look and the hat looks amazing on you! 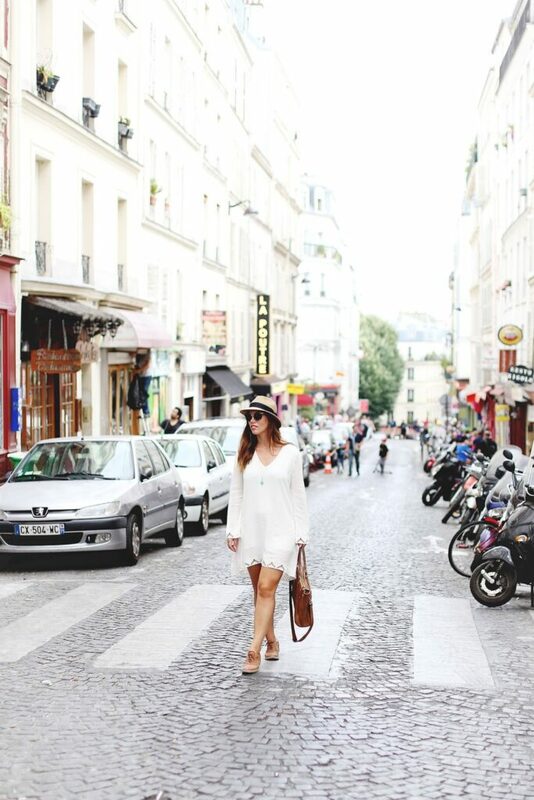 Looking so beautiful and girly in this perfect for Summer white dress! Doing nothing is one of my favourite things. Sometimes I just go to a café and sit with a drink and listen to music, think about life or read a book. 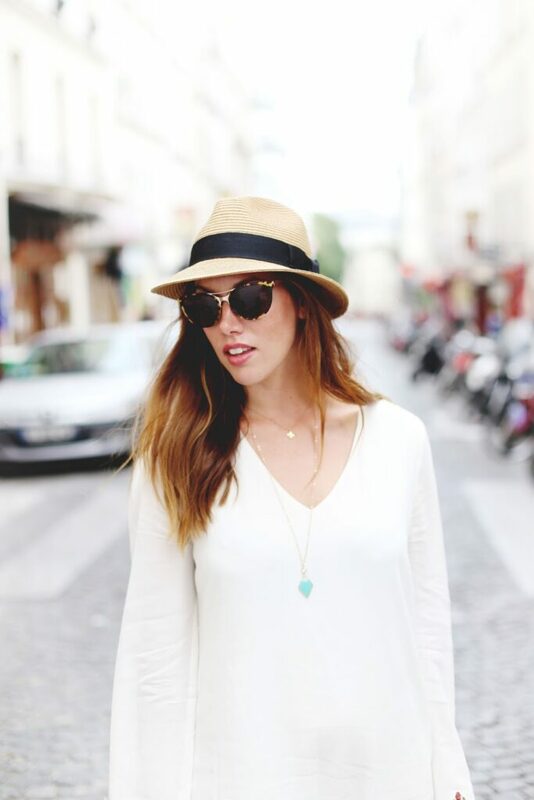 Gorgeous easygoing look on you!